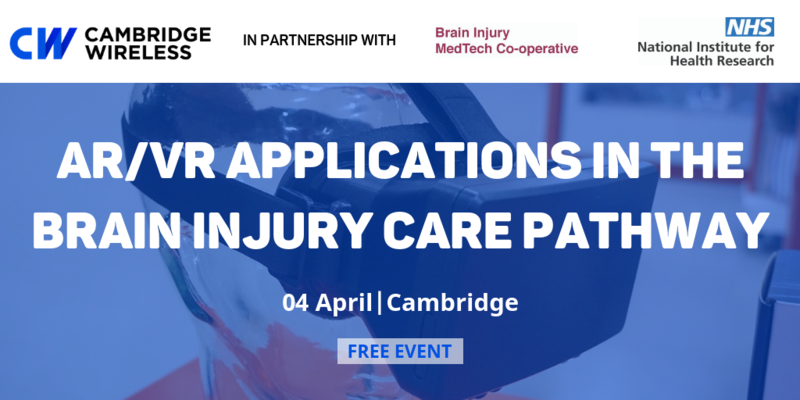 The event is delivered in partnership with Cambridge Wireless and is free-of-charge. The scenic venue on the outskirts of Cambridge has on-site parking, with easy access to the major roads networks. Augmented and Virtual Reality applications are increasingly proposed for the prevention and treatment of brain injuries. At a time when technology is rapidly evolving, this event will bring together leading clinical experts to define areas of unmet needs and potential applications of the technology. It will also provide an opportunity for technology developers and clinical teams to showcase their technology and on-going applications. Session 3: Panel Discussion – Horizon scanning with relevant partner organisations. To download the flyer of event click here.